The evolution of the Kiama Jazz & Blues Festival continues this year, with a refocusing of the activities in Hindmarsh Park. Rather than using the Orry Kelly Stage, where there is no close up protection from the sun for audiences and problematic sound issues, Festival organisers are moving the entertainment west to under the shade. A large temporary stage will be positioned between the Community Centre and Terralong Street to capitalise on the Park’s natural amphitheatre. The lack of shade in front of the permanent stage makes people cling to the shade around its fringes, leaving vacant space in what should be prime positions in front of the stage. Oxley, who’s part of the Festival’s Music Team. In another twist, the main day for music in the Park is shifting from Sunday to the Saturday. The Saturday program will go from 10.30-6.45pm, while the Sunday will be from 10-1pm. “Everyone is in town and ready for action – Saturday in Hindmarsh Park will be a super kick off to the event, and whet everyone’s appetite for more,” says Pete Henderson, another member of the Music Team. 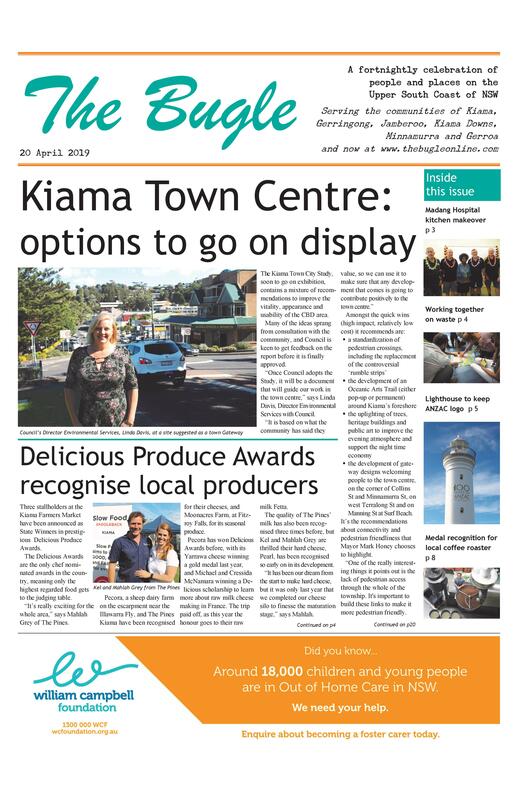 As in the past, the Festival is bringing together music in venues all through the Kiama Municipality – major acts in the larger venues like the clubs and pubs, but also intimate experiences in cafes and restaurants. 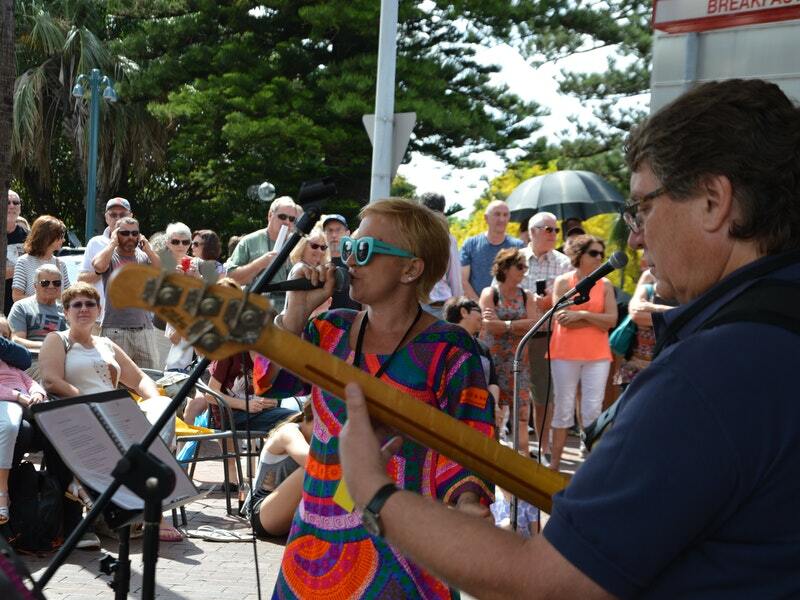 “There is something for everyone – from JJJ Unearthed artists to well established local, national and international acts,” says Kiama Jazz & Blues Club President, Becky Guggisberg. She’s particularly pleased that this year four venues in Gerringong are included in the program – Stocic Brewery, the Hill Bar, the Mercure and Crooked River Winery. A performance has also been organised for Blue Haven nursing home, so the residents can enjoy some jazz favourites.